Description Mac OS X is an operating system developed by Apple Inc.. Since 2002, Mac OS X has been included with all new Macintosh computer systems. 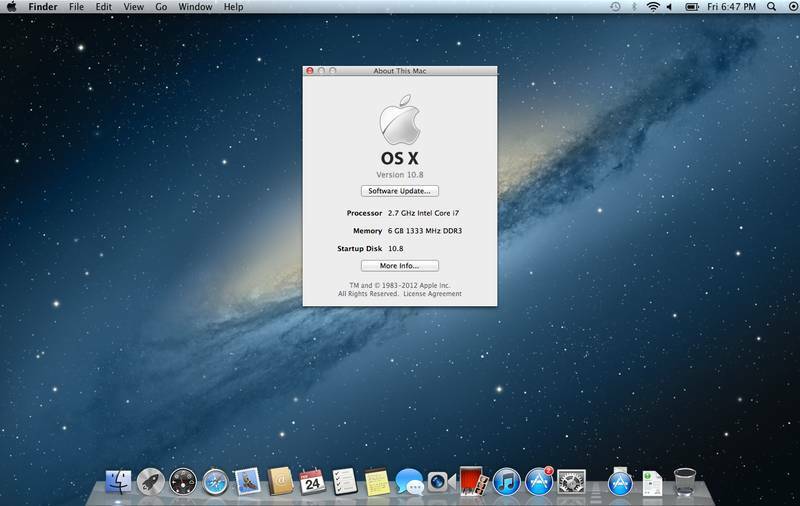 OS X v10.8 "Mountain Lion" was announced on February 16, 2012.